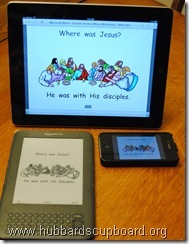 I follow a homeschool blog by Carisa called 1+1+1=1. If you are a teacher, parent, and/or a homeschooler and have not visited her blog, I urge you to do so. =) Since coming online in 2007, she has regularly created and shared wonderful resources for toddlers, preschoolers, and kindergarteners. 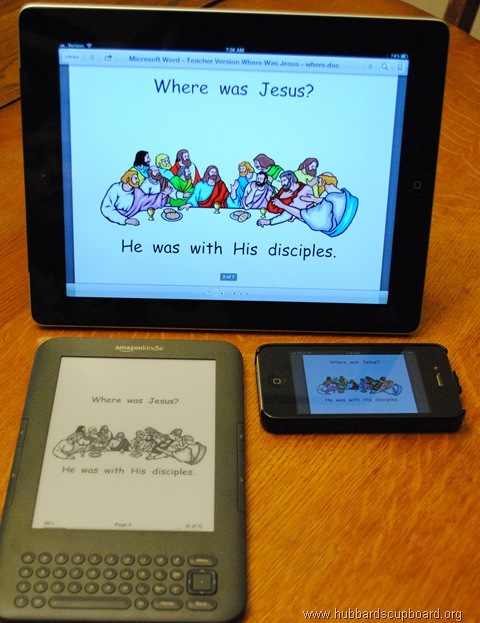 As I was browsing blogs in my reader this evening, I came across a post from Carisa called Easy Readers for iPads and Tablets. 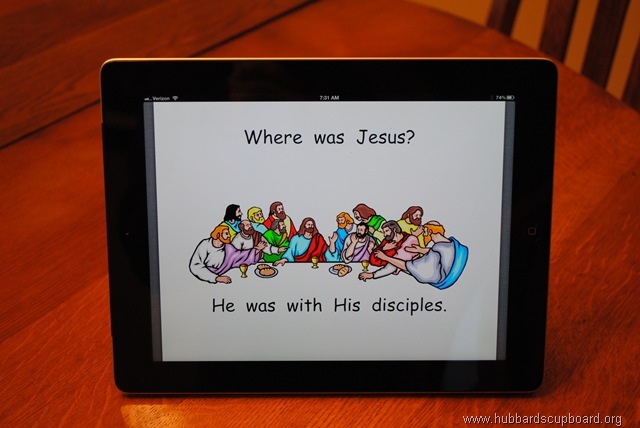 As I read through her post, I was becoming more and more excited at the idea she was presenting – making PDF booklets available for use on iPads and other devices. Why would this excite me? …because Hubbard’s Cupboard has over 50 sight word booklets and 28 word family booklets already in PDF format. You have always been able to print small black and white versions as well as full size versions of these booklets (many in color) to use at home or in the classroom. Now, piggy backing off of Carisa’s idea, simply download the ‘Teacher Versions’, save them to your device, and you can create a whole bookshelf of emergent readers for your beginning reader to enjoy on your iPad, Kindle, Nook, etc. It saves paper and it’s portable! iPad – This was successful! 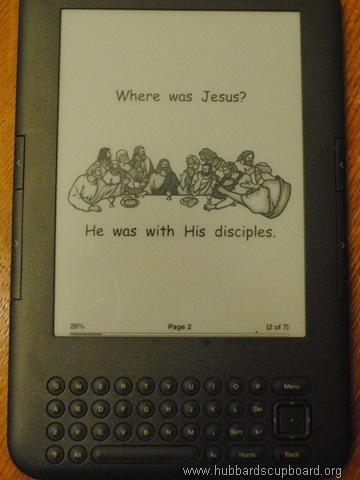 I can’t wait for our newest up and coming reader to test it out. 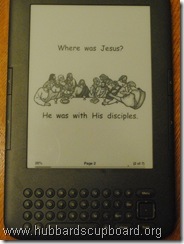 Kindle – This could work. It just converted the booklet to grayscale. iPhone/iPod Touch – This option even performed well – just on a smaller scale! I am excited to use this too. I have been using your booklets for a long time, first in the k classroom and now with homeschooling my girls. Would you mind sharing how you made your books so I could make one with some pics of our family for the girls to read? I was also thinking I could probably motivate a not-super-motivated writer to create and type some books if she knew they would be on the ipad. :) Thanks. Thanks-I don’t know if there is an easier way to get them to the phone, but I just emailed it to myself and opened it in ibooks and it worked. Thanks again. I think that is the best news I have gotten all day!! !